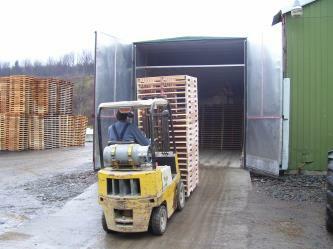 WOOD PALLETS and crating materials are manufactured here for industrial use. 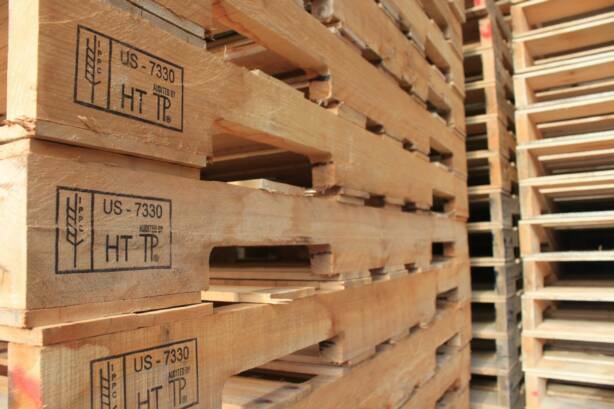 We can design and custom-build your pallets, or call us with your specifications. We deliver within a 150-mile radius. We also have a pallet kiln for heat-treating pallets and crating materials for export.